Japan is very different to the other Asian countries in so many ways. Japan is one of those countries that never fail to fascinate because of its extraordinary diversity, natural beauty and culture. Moving from the hustle and bustle of intense modern cities into the serenity of traditional Japan is stepping into a parallel world. The famous plum and cherry blossoms, spectacular hot springs, placid lakes, raging rivers and inspiring picture-book snow-capped mountains reveal centuries of co-existing with nature that is steeped in tradition in Japan. The country is littered with the magnificent World Heritage shrines, temples, castles and Imperial palaces that speak of bygone eras and traditions that are diligently kept alive. The samurai and geisha; the remarkable traditional and modern cuisine; the beauty of the arts and calligraphy - are also proud parts of the Japanese culture that everyone can experience. Then there are the action-packed theme parks; countless outdoor activities like snorkeling and snowboarding; and amazing festivals and events across the country throughout the year. 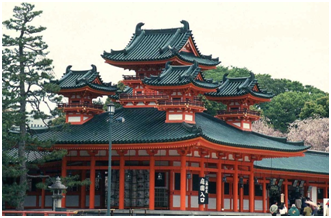 When visiting Japan it is valuable to research the basics of the Japanese culture and customs – it will help make your experience more enjoyable and memorable. People who have taken a holiday to Japan always agree it is one of the top holiday destinations in the world and a must see. Members get up to 25% Off in Japan Hotels! The opening of the Ritz Carlton in May has put Okinawa on the hit list for luxury travellers. The prefecture in southern Japan has a subtropical climate, top-notch scuba diving, pristine beaches and UNESCO World Heritage sites, including ruins of the Ryukyu Kingdom. The resort's location on the grounds of the Kise Country Club is perfect for golfers, who may also be tempted by the Japanese-style baths at the spa. Rooms from $770 a night.